The Premier Body Sculpting Resource in Corpus Christi! Look at Feel Great with Advanced Wellness! For decades now, body contouring has been a perfect procedure for people wanting to remove excess skin– be it after significant weight loss, birth, or simply a little extra skin that won’t quit. Previously, invasive surgery was the only solution to fix this problem, but in recent years new treatments like CoolSculpting® and SculpSure® have been approved for all patients. But what is the difference between the two? What may be more effective for your body type? Here are the basics about these two procedures to make things a little clearer. SculpSure® is almost the complete opposite of CoolSculpting®. Instead of targeting the fat cells by freezing them, Sculpture® uses a laser to heat and destroy the fat cells. In just 25 minutes, the applicators grid an area of your skin customized by where your target area is– so the size of this treatment area can be much larger than the aforementioned treatment. Clients experience waves of heating and cooling, but following the treatment, they do not experience any of the bruising or tingling that can come with CoolSculpting®. There is no downtime with this procedure, and clients can expect results in six to 12 weeks. SculpSure®is quickly taking the lead as the top body contouring procedure in the United States. A pair of scientists at Harvard University realized that cryoplipolysis– freezing of fat cells– was able to target unwanted fat without causing any damage to the surrounding skin and tissue. After a few weeks, these cells are destroyed and eliminated. 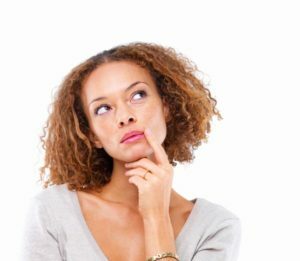 Patients are usually left with some marks from the procedure that require some form of treatment, as opposed to SculpSure which leaves no trace of the procedure on patients! Treatments can take between one to two hours. Because of the size of the applicator, the area that can be treated is relatively small. Patients may experience some discomfort following the procedure, as the pinching of the tissue often leads to bruising and soreness. It may temporarily feel numb or tingle-y, but there is absolutely no downtime with the procedure. Which is better? Let’s Talk About It. Is one procedure safer than the other? While both procedures have been approved by the FDA for their safeness and effectiveness, SculpSure® provides faster results, no need for recovery time and a better overall experience in patients. Because of pinching and sucking, patients who undergo a CoolSculpting® may experience some bruising and numbness following a treatment. 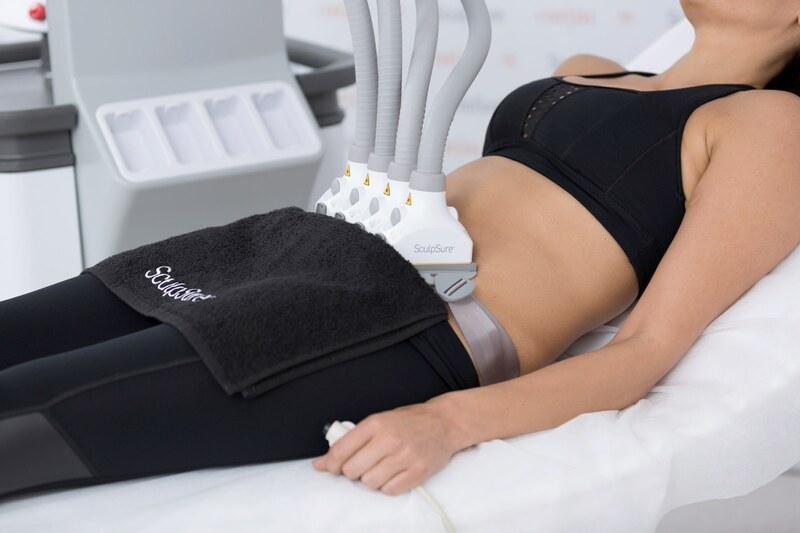 With SculpSure®, patients may experience some discomfort due to the variation between heating and cooling during the procedure, but they will likely not feel any discomfort following treatment. There is no downtime or recovery period for either. CoolSculpting® involves a single handpiece that treats one area at a time. While newer handpieces may take less time for a treatment, the average is about an hour. Depending on time constraints for the patient, more than one area can be treated in the same appointment, or on another day. SculpSure® utilizes up to 4 laser panels per 25-minute session. Again, the actual length depends on how many sections of the body the patient wishes to be treated. Over the course of a few weeks to a few months following a single treatment, CoolSculpting® has been proven to remove 22% of fat in the treatment area. Over the course of the same timeline, SculpSure® has been shown to remove about 24% of fat in the treatment area. In most of the above categories, SculpSure® is the better alternative for body sculpting thanks to its superb results and ease of use with no downtime. Based on the above questions, you can get an idea of which treatment would or would not work for you. If you have any further questions, Contact Dr. Eubank for a free consultation!